An experienced Knoxville plumber can repair plumbing pipes of all types with equal efficiency. However, there are certain types of pipes that they need to repair more frequently than the others. Do you have a tree root problem in your sewer drain? 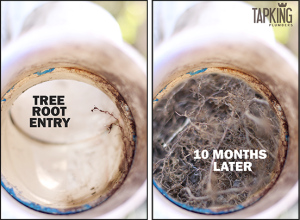 Like thousands of households, tree roots in your drain are a constant problem we can all do without. Blocked drains whether it’s a blocked sewer line or a blocked storm water pipe can be one of the most frustrating and inconvenient not to mention one of the most costly plumbing problems you can have at your home. Unfortunately, tree roots in the sewer line are an indication of damaged plumbing pipes and become an ongoing problem you could do without. The only permanent solution is a complete replacement of your old earthenware plumbing pipes with new PVC plumbing pipes, but if you don’t want to go to all the trouble and expense of replacing your old sewer pipes, calling a plumber has several cost effective options to keep your sewer line clear and free flowing. Traditionally the use of the good old plunger and the electric eel were the weapons of choice in the constant fight against tree roots overpowering your sewer line; that was until now. Regular maintenance using high-pressure water blasters are the latest technology in combating all, but the most severe tree root blockage found most commonly in household drains. The advent of drain cameras have added a new dimension to drain cleaning and have been a god sent to the plumbing professional and homeowner alike. This piece of high-tech equipment is used to take all of the guesswork out of drain cleaning. 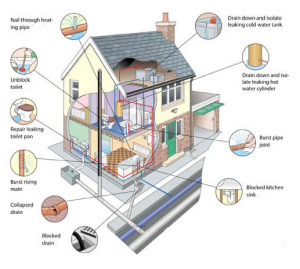 Every nook and cranny can be thoroughly explored using a video camera, and a complete video diagnosis can be supplied to determine the best course of action required, not only that pipe tracing equipment can be used to locate the camera head and find the exact location and cause of the blocked sewer pipe. A preventative maintenance program will combat the inconvenience of tree root blockages and raw sewage overflows that usually occur at the most unexpected times, like on weekends, the family BBQ or even Christmas day! As you know, this results in costly emergency call outs and your family being exposed to raw sewage overflow. The roots you cut last year are the same roots you will cut this year and next year as well. Whatever may be the type of pipe installed in your home or office, you must maintain them properly. You are advised to call the plumbing expert even if you notice slightest of crack on the pipes. Additionally, get them checked by your Knoxville plumber once in every six months. The plumbing professional appointed by you will check the pipes thoroughly for cracks and other damages and do the needful to eliminate the defects caused by the tree roots. If you have trees that you want cut call Smoky Mountain Tree Service. Why Should You Give Hydrojetting a Try? Have you been dealing with clogged sewer pipes for some time? Clogged sewer pipes can be extremely difficult to deal with and require not only the right equipment, but also specific skills. A hydrojetting system can be the most effective way to get rid of the clog in your sewer and have your sewer pipes functioning like new. It is important that you learn what hydrojetting entails and how exactly it works to remove clogs within sewer pipes. A hydrojetting system essentially works using a high powered stream of water that has the ability to remove clogs caused by grease, tree roots and other debris. This means that the stream of water being used is at a very high velocity or speed to deliver real results. The entire sewer pipe is filled with this stream of water, which allows for all clogs to be removed rather quickly. Many people turn to hydrojetting whenever their sewer pipes become clogged. 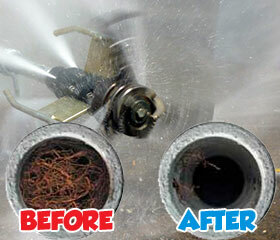 It is the safest and quickest method for sewer pipe clog removal. Grease clogs are incredibly common, especially for business owners. Over time grease builds up within your sewer pipes and can result in a large clog that causes blockage. Most people aren’t even aware of the vast amount of grease that finds its way in the sewer system. Grease causes clogs fairly quickly, but can be removed using a hydrojetting system. It can take only a few minutes to remove a grease clog using hydrojetting. Clogs within your sewer pipes can also be caused by debris. Simple daily tasks like washing the dishes or flushing the toilet can lead to debris clogging your sewer pipes. Over time the waste in your sewer pipes builds up until blockage occurs. In some cases, your sewer pipes can become completely blocked due to the buildup of debris. However, hydrojetting systems offer industrial power that can remove debris of all sizes. Even if the debris has been accumulating for years, a hydrojetting system can remove the problem completely. Roots are the final cause of sewer pipe clogs, but can have devastating effects. Roots can sometimes find their way into sewer pipes and cause mitigation problems. This is a common occurrence for older homes. However, hydrojetting is powerful enough to flush out roots and clogs that have occurred as a result of root growth. http://knoxvilleplumbingllc.com/wp-content/uploads/2015/05/HydroJetting-in-Knoxville-Drain-lines-sewer.png 245 300 Knoxville Plumber http://knoxvilleplumbingllc.com/wp-content/uploads/2016/09/Website-Logo-KNoxville-Plumbing-2.png Knoxville Plumber2015-09-25 17:51:502015-05-05 17:58:04Why Should You Give Hydrojetting a Try? 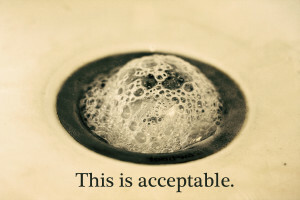 A clogged drain is a common problem that most homeowners deal with from time to time. Even though clogs are pretty normal, there are a few steps that you can take to not only minimize the damage of a clog bit also prevent them altogether. Once you have your drains professionally unclogged, these are the preventative measure you can take to increase top drain hygiene and prevent clogs. It is always a good idea to be aware of what you put down your drains. In most instances, the drains in your home should only be used to flush away dirt and cleaning solutions. This means that you should not try to use your drains to flush away foods, cooking grease or other types of residue. The less substances that you put down your drain will ensure that your drains function properly. Anything substantial in size should never be put into your drain, because a clog will likely be imminent. Keeping your drains cleaned and tidy can be a great way to ensure that heavy or large substances do not flow through your drains. In some instances, it is spills or accidents that cause clogs, so you need to be cautious and keep these areas clean. Another important tip to remember when dealing with clogs in your drains is to act fast. Once a clog occurs, it will only worsen over time if you do nothing to reduce the blockage. 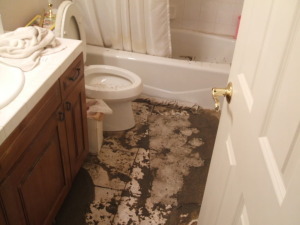 This means that you need to call professional plumbers at Knoxville Plumbing right away to address the issue and remove the clog before it causes extensive damage. Sometimes it is impossible to completely prevent clogs and when this happens you need to act fast to have the clog removed. You might think that using anti-clogging products you can find at the store is the best way to address a clog, but this is not true. Anti-clogging products often have corrosive and harsh ingredients that can cause damage to drains and pipes. Using these products on your own without any knowledge or experience is never a good idea. The acids in some of these anti-clogging products can sometimes even cause pipes to deteriorate. Not only are they harmful to pipes and drains, but they can be poisonous and dangerous for people. Call a trained and skilled plumber instead of trying to use anti-clogging products. Sewer stoppages in Knoxville, TN (or anywhere else) can be a huge problem. It can mean potential backup of your sewer or drainage system. No one wants sewage coming back up through their pipes! There are several different reasons why a sewer stoppages in Knoxville, TN may occur. There are also a few different methods for detecting a sewer stoppage. That’s where we come in. We can help to detect and identify sewer stoppages in Knoxville, TN and beyond using our state of the art systems and old fashioned know-how. An older system that needs repair. Failure to clean vents in the top of your house. No matter what the cause of any sewer stoppages, most of them can be identified, dealt with, and/or repaired. In some extreme cases, backhoe work or even a system replacement might be in order. We can easily access the issue and let you know what would work the best. We use lots of different methods for detecting and assessing the severity of sewer stoppages in Knoxville, TN. One of the simplest and quickest methods is to use a camera inspection. After an initial camera inspection, we will let you know what sort of issue we are looking at. 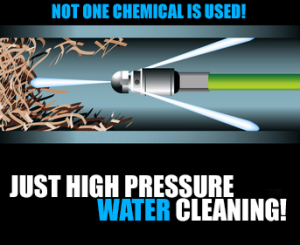 In many cases, the use of a hydro jet can quickly, safely, and easily clear your pipes. However, if you need a more involved service, like a replacement or repair on your sewage system, we can let you know that, as well. 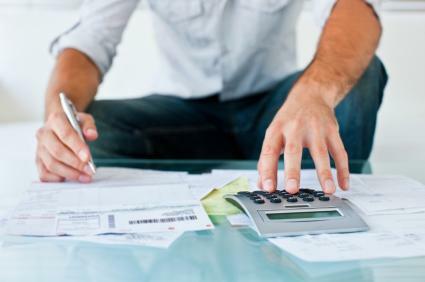 Then we can let you know a cost estimate, as well as what method will work best to remedy the issue. Are you experiencing any issues with sewer stoppages in Knoxville, TN? If so, call us today. We have been serving the Knoxville area for years. We can quickly have a professional staff member out to your home or property in only a matter of hours. All of our staff members have been trained in the latest sewer clearing and repair methods. You can rely on any and all advice they give you. So turn to the people you can trust. Visit us at knoxvilleplumbingllc.com to learn more about the services we offer. Use Chemical Drain Cleaners, Yes or No? You might think that store bough chemical drain cleaners are an easy fix, but this is not really the case. 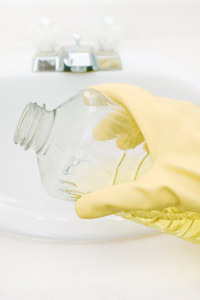 The only real advantage that store bought chemical drain cleaners offer is convenience. However, this convenience is minimal due to the fact that the issue with your drain will not be fixed permanently and will only continue to worsen. It is simple and easy to pick up a chemical drain cleaner in any local retail store, but it does not work as effectively in cleaning out your drains as you might think. There are many reasons why using chemical drain cleaners is not the ideal option for your home. The fact is that chemical drain cleaners are not safe for use around children. If you have young children living in your home, it is not a good idea to store or use any chemical drain cleaners. Children have no idea what chemical drain cleaners are and how harmful they can be, which means that their natural curiosity can put them in danger. If you want to avoid exposing your children to the risk of chemical drain products it is best to not keep them in your home at all. Not only can these chemical drain cleaners be potentially harmful for unknowing children, but the adult administering the chemicals can also be at risk. These chemicals are very dangerous and should only be handled using the right protective equipment and gear. You may not realize it, but using chemical drain cleaners comes with a hidden cost. Using these types of accessible cleaners repeatedly will result in damage to your drain pipes. This means that initially using chemical drain cleaners may be convenient and cheap, but over time it will only lead to more damage which will cost you more money in the end. The chemicals that are found in drain cleaners are very damaging and can cause extensive harm to your pipes. The hidden cost of chemical drain cleaners is what you should really be looking to avoid altogether. There is also the adverse effect on the environment that you should take into consideration. Chemical drain cleaners are not eco-friendly and are caustic, which means that they do not break down easily. Using these chemicals to clean your drains is not the best option for you or for the environment. http://knoxvilleplumbingllc.com/wp-content/uploads/2014/09/drain-cleaner-2.jpg 300 200 Knoxville Plumber http://knoxvilleplumbingllc.com/wp-content/uploads/2016/09/Website-Logo-KNoxville-Plumbing-2.png Knoxville Plumber2014-09-29 16:42:472014-09-29 16:42:47Use Chemical Drain Cleaners, Yes or No? Pipes are sturdy installations. They are meant to last for years, unless a compromise had been made initially to install poor quality pipes. Plumbing installations are usually durable if the right brands and specs have been chosen at the right prices. However, everything has a lifespan and that holds true for pipes as well. Pipes are not meant to last forever. While some poor quality pipes may last just a year or few years, most pipes will show signs of ageing after several years. Also, the type of use and other external factors also play a role in determining the life of your pipes. Ideally, you should attend to the maintenance of all your plumbing fixtures and that should include pipes. If you indulge in regular maintenance, which could be twice a year or at least once a year, then you will be safeguarded against some rude surprises. Else, you can refer to these signs that your home needs to be repiped. If you find a major leak from any of the pipes in your home, then you obviously need to replace it. You can easily spot such leaks by looking for water damage. A serious leak springing a lot of water will cause damage to your property and that would be very hard to miss. A minor leak will also show signs of water damage or at least buildup of moisture in certain areas of the home which will also be hard to miss. If you find any such signs, then you should not wait any longer. Call an expert and get the pipe or pipes replaced. 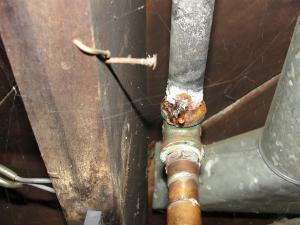 You should not think of repairing or sealing the leaks in these pipes. Sealing them will be a temporary solution and you will be spending money needlessly without any long term assurance that the leaks won’t recur. You should keep an eye out for the water pressure in your home. If you see that the water pressure in the faucets or taps and showerheads has reduced substantially, then you may want the pipes to be checked. Leaks in the pipes, buildup of sediments, corrosion and other problems in the pipes can cause a drastic reduction in water pressure. You should also look out for water bursting through the taps in short spells. This also indicates obstructions or air gushing into the pipes, both of which are signs that you need repiping. Another very helpful sign is colored water or water that tastes different. Buildup of chemicals, rusting, corrosion and sediments of various kinds will cause this problem. Repiping should be a wise choice at such a stage. http://knoxvilleplumbingllc.com/wp-content/uploads/2014/09/4a7440ca-d399-48f6-82ea-59d2ada30700.jpg 465 517 Knoxville Plumber http://knoxvilleplumbingllc.com/wp-content/uploads/2016/09/Website-Logo-KNoxville-Plumbing-2.png Knoxville Plumber2014-06-17 17:05:372014-09-29 17:11:37Does Your Home Need To Be Repiped? Drains are like the excretory organs of a property. If the drains work well, then all waste generated at home or at office can be got rid of easily. If the drains are not working well, then most of the waste generated will have to be specially attended to. While drains are usually very effective at flushing out all liquid waste, they don’t typically do well with solid waste or even semisolid waste. Drains have a tendency to get clogged. 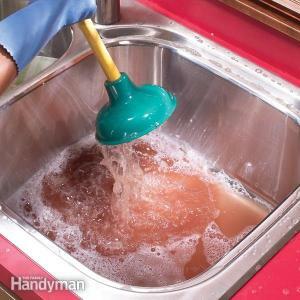 If there is anything that is not a fluid or even a liquid that doesn’t flow very easily, then it will clog the drains. Clogged drains can cause a major headache for any homeowner. Apart from flooded drains being the favorite place for insects and thus diseases, they would be the source of foul smell and there can be flooding in unsuspecting areas in the property, including indoors. All the problems due to and emanating from the clogged drains are certainly undesirable but if you wish to avoid them, then you have to be cautious. You can keep your drains from clogging, if you are conscious of what you are draining down. Soap water and general dirty water runoff from washing, cooking and bathing or cleaning don’t usually clog the drains, unless there is flooding outside. It is solid waste, semisolid materials and liquids such as grease or oil that lead to buildup in the drains. In other words, anything that can create a barrier of sorts in any part of the entire drainage system, till the time the larger underground drains are reached, can cause clogged drains. You simply have to be more careful of what you flush down the drains. Regular maintenance can help you to avert clogged drains. Many homeowners don’t really care about the drains until and unless there is some problem. It is similar to most fixtures in a home that are not obvious to the eyes and are thus not cared for. Clean the drains as and when possible, hire a plumber to do it once in three months or twice in a year and you can avoid clogged drains. You should consider buying a garbage disposal unit if you don’t have one. This will allow you to run down some solid or semisolid waste without the fear of clogging the brains. 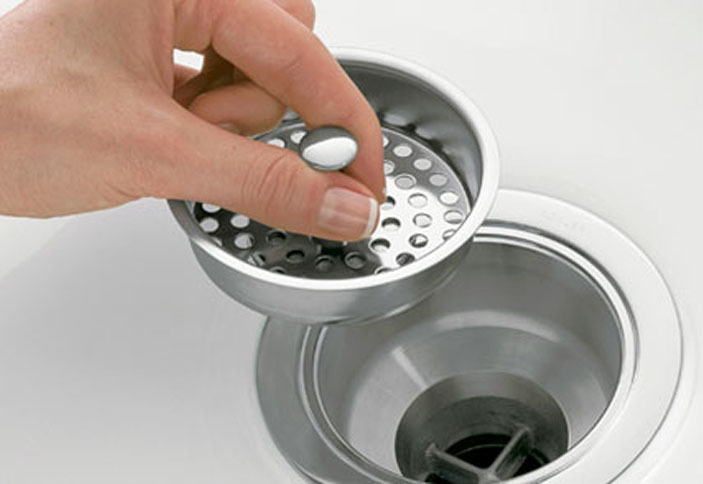 The garbage disposal unit will crush the waste and make drainage simpler and smoother. http://knoxvilleplumbingllc.com/wp-content/uploads/2014/09/FH03NOV_CCLOGD_01.jpg 600 600 Knoxville Plumber http://knoxvilleplumbingllc.com/wp-content/uploads/2016/09/Website-Logo-KNoxville-Plumbing-2.png Knoxville Plumber2014-04-29 16:51:072014-09-29 16:53:31How Can I Keep My Drains From Clogging? Some Homes In Knoxville Needs to be Repiped… Is Your Home One? They say nothing lasts forever, and the pipes in your home won’t either. Sooner, or later, you may be faced with the question of whether or not to have the pipes, the plumbing, in your house, replaced. 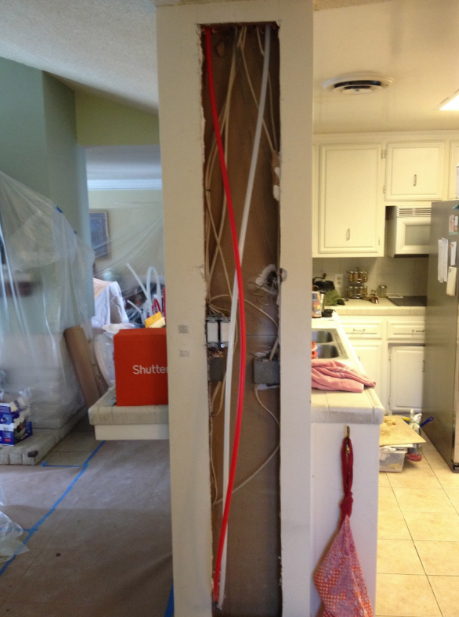 The galvanized iron pipes came in nominal lengths and every joint, connection, elbow, or tee, had threads in all the outlets and may very well begin to leak. In addition, iron rusts and often clogs the pipe so you have very little flow. Copper pipe replaced the galvanized iron pipe, and used soldered joints to replace the threaded ones. When properly installed, they should last for the life of the house. However, due to ground settling, earthquakes, remodeling and other unseen happenings, copper pipe and fittings may crack, or a solder joint fail. Which happens from time to time, various replacement materials, usually plastic have been used. Plastic is also commonly used in mobile homes and RVs. So, How Do You Know If You Need To Repipe your Home? Before you face the situation, and have your whole house repiped, do some checking. Are you having more leaks, and have your plumber on speed-dial? Does the water flow slowly and have a weak stream at your faucets? Do your pipes bang when the faucets are shut off? Is there rust in the water? If any, or all, these things are happening to your water system, you may need to have your home repiped. Repiping a home is a major proposition, so think carefully about the plumber you have do the job. Be sure they are licensed, bonded, and insured. Check with the Better Business Bureau, to see if any complaints have been filed. Ask if you can contact any of their customers. http://knoxvilleplumbingllc.com/wp-content/uploads/2014/07/20140819135700854447000000-o.jpg 600 900 Robert Keith http://knoxvilleplumbingllc.com/wp-content/uploads/2016/09/Website-Logo-KNoxville-Plumbing-2.png Robert Keith2014-04-05 13:48:222014-09-05 14:27:01Some Homes In Knoxville Needs to be Repiped... Is Your Home One? Clean Your Drains the Safe Way! 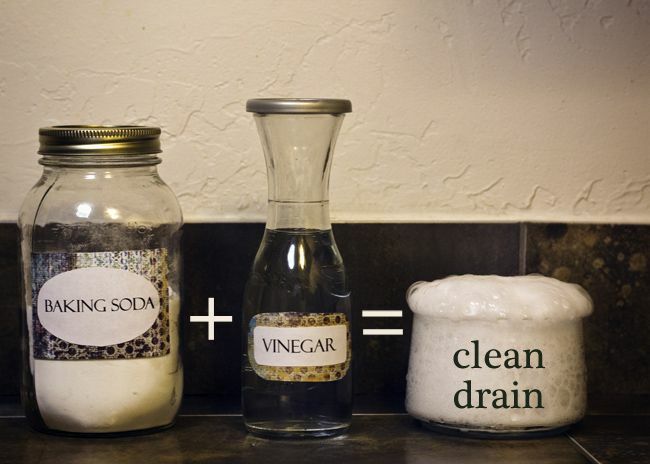 Clean Your Drains With Baking Soda and Vinegar – Surprise! Remember when I was all, “You crazy kids. Don’t you ever use baking soda and vinegar together in cleaning. It’s just silly. Blah blah blah.” Won’t she ever stop being so dadgum bossy omigosh? Like everything in life, cleaning with baking soda and vinegar comes with exceptions. And that exception is cleaning drains. Tossing citrus peels in your garbage disposal keeps it smelling like freshly poured sunshine, but every once in a while, when someone puts onions in there and leaves them when they’re not supposed to, you might need a little extra help. And I think that concludes everything we need to know about working with alkaline baking soda and acidic vinegar in cleaning. http://knoxvilleplumbingllc.com/wp-content/uploads/2013/01/bakingsodavinegar.jpg 464 650 Robert Keith http://knoxvilleplumbingllc.com/wp-content/uploads/2016/09/Website-Logo-KNoxville-Plumbing-2.png Robert Keith2013-01-02 15:46:252014-09-30 20:12:41Clean Your Drains the Safe Way!